Buying a property is likely to be one of the most significant purchases you make in your life. As a buyer, having a survey provides you with detailed information as to the condition of the property – highlighting any elements that may need repair or renovation. This gives you the complete picture before you progress any further – limiting the possibility of nasty surprises once you move in. A full Building Survey Report (formerly known as a Structural Survey Report) is the most comprehensive type of inspection and condition survey report that you can get. Suitable for all types of residential and commercial properties, a Building Survey Report provides a buyer with full details of the construction and condition of the property, covering both minor defects as well as major repair works. The completed report will comment on the condition of all walls, floors and roofs throughout the property, both inside and outside of the main building and all permanent outbuildings. From the outset, this gives buyers a full understanding of the property’s condition and what expenditure will be required if they go ahead with the purchase. In some instances, where a survey reveals lots of defects, buyers are able to use the report to renegotiate the purchase price. The Building Survey Report is a bespoke report that is catered to the individual requirements of a purchaser. As well as providing an in-depth review of the property’s condition, it can also be tailored to report on elements of a property including includes design, materials, construction techniques, and services. 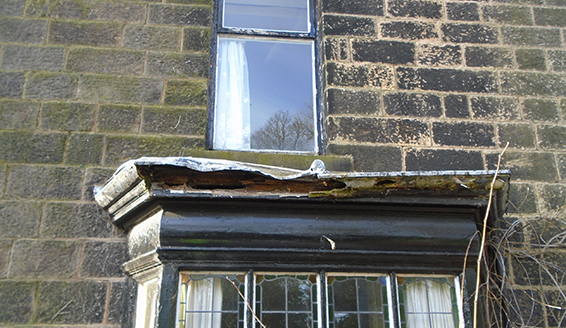 Building Survey Reports are suitable for all property types but are particularly recommended for older properties or those that are known to be in poor condition. Other types of property that benefit from the in-depth nature of a Building Survey Report include buildings that have been unusually constructed or that have undergone alteration works. Lea Hough regularly undertake Building Survey reports on both residential and commercial properties throughout Lancashire and across the North West. As part of our service, the surveyor who has conducted your report will make themselves available should you want to discuss any of the report’s contents in further detail. For more information or to obtain a quote, please contact us here.